To many, the Siesta Key Village is a popular tourist destination, where people seek one of the most beautiful beaches in the country to escape the cold weather. For some, however, Siesta Key is a place of strong-rooted family traditions and memories. To the Davidson Family, it is the place they have called home for generations. The Davidsons have long been present and active in the Siesta Key community: in 1958, John Davidson Sr. opened Davidson Drugs, which is now a family business. With four of his six children living in Sarasota, each has made their own mark on the community. Now, in a combined family effort, sons Bob and John Davidson Jr. and brother-in-law Rick Munroe are excited to bring a brand-new business to the Key. When Re/Max Alliance vacated their spot in the Davidson Plaza this past spring, Bob Davidson wanted to capitalize on this prime location. 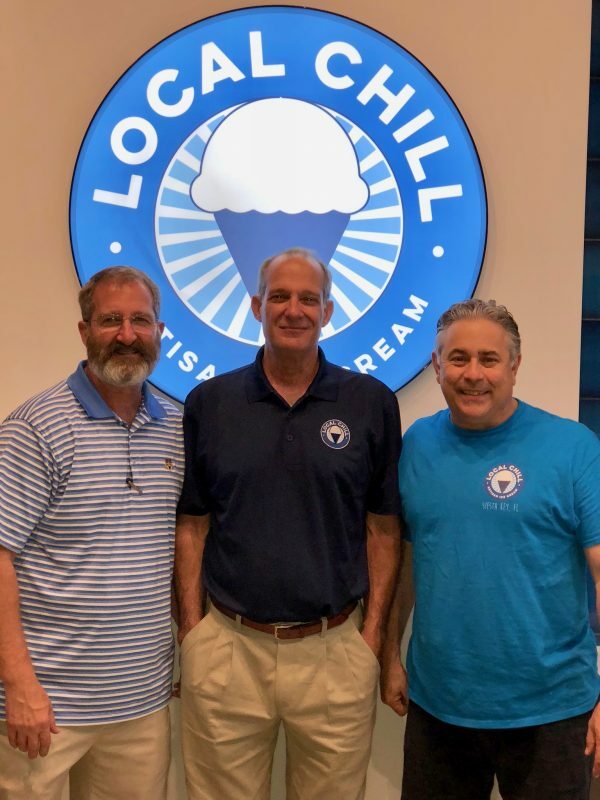 This is when he first envisioned Local Chill, an artisan ice cream shop, and enlisted the help of John and Rick to help transform his vision into a reality. Each with unique professional backgrounds, the three make up the ideal trio to begin this new business venture. Local Chill’s mission is to deliver top-quality artisan ice cream and other unique desserts to its customers. 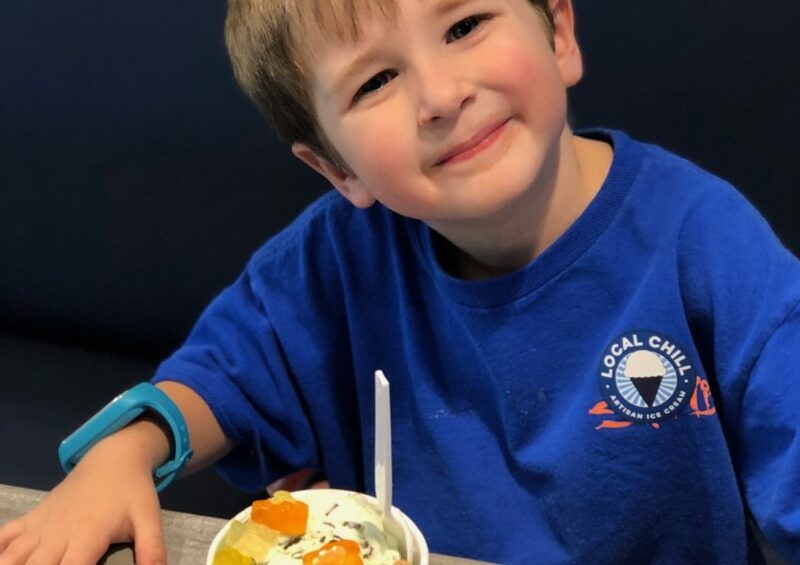 Using premium ingredients and small-batch ice cream, Local Chill will offer chef-inspired, original flavors. 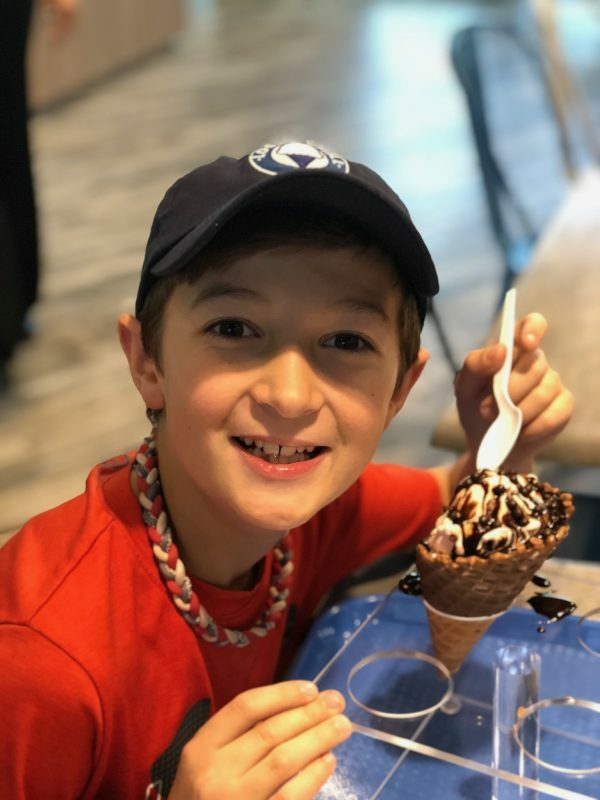 The family’s concept for Local Chill is to redefine the traditional scoop shop by bringing a fresh, modern perspective to the Siesta Key Village. Local Chill opened November 14th. I recently had the opportunity to sit down with Bob Davidson to discuss their newest business venture. Q. Who first came up with the vision for Local Chill? A. I have wanted to bring a new business to Siesta Key for a long time, which is what originally led to the creation of Local Chill. I was born and raised on Siesta Key, and as a kid the Village was like my backyard, so to speak. The Village was a magical place for me growing up that holds some of my fondest childhood memories. As an adult, I’ve always wanted to get back to the Key, probably to relive my youth in some ways. For the past ten years, I’ve been trying to come up with the right business opportunity to do just that. Whenever I travel to tourist destinations, I always notice that one of the busiest places is the local ice cream shop, and the idea stuck with me. I wanted to bring this concept to Siesta Key because I’ve seen it evolve and change over the years, and I am excited to be a part of that. Q. What are the backgrounds or current positions of yourself, John Jr., and Rick? A. I originally started working for Davidson Drugs, and branched out on my own to start Davidson Home Health Equipment in 1992 (still operated). John is a commercial real estate developer based in Atlanta, with an expertise in finding, analyzing and acquiring real estate opportunities. Rick is a classically trained chef with full spectrum food and beverage experience. He currently owns Sun Garden Cafe, as well as a food and beverage consulting company that specializes in concept development. Q. How did you go about bringing John Jr. and Rick into the business? A. I remember presenting the idea to my brother John in July of 2017 on a family vacation. After 30 seconds of me casually pitching the idea, the first thing he said was, “I’m in.” He immediately saw the vision and potential, and when we presented it to Rick, he felt the same way. So, for the past year, the three of us have been developing this project together. Q. Please give us an overview of the type of ice cream you will be serving and if you will incorporate anything other than ice cream? A. We’re serving premium small batch ice cream using fresh, local ingredients. The menu is chef-driven, featuring proprietary recipes and flavor and texture combinations that you can’t find anywhere else. Besides ice cream, we will feature other desserts such as artisan hot chocolates, fresh-baked cookies served warm all day, vegan, whole fruit grantitas, affogatos, and other unique desserts. Q. With half a dozen ice cream shops located in the Village already, what makes Local Chill different? A. We’re redefining the scoop shop concept and how it functions—for instance the business model, aesthetic, and menu is completely different than anything out there. We have a spacious atmosphere with ample seating, and strive to give our customers a comfortable environment. We offer new, fresh, high end products that elevate the ice cream experience. Q. Do you feel the finished project captured your vision? A. Absolutely. We are very pleased with how the space turned out and do feel that it mirrored our vision of bringing an elevated experience and atmosphere to our customer. Q. What are your future plans for the business? A. We want to grow this business to multiple locations over time. We are confident in our business model and are excited to continue to work together to expand Local Chill in the future.